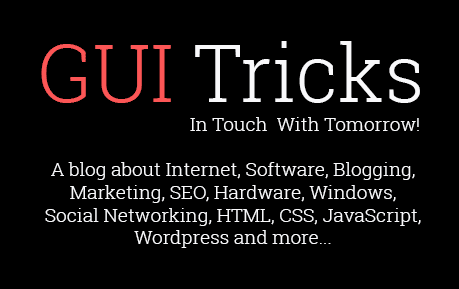 10 Best Android Launcher Apps For Your Smartphone | GUI Tricks - In Touch With Tomorrow! 10 Best Android Launcher Apps For Your Smartphone - GUI Tricks - In Touch With Tomorrow! Launcher apps on your Android device help you customize and personalize your Android experience. 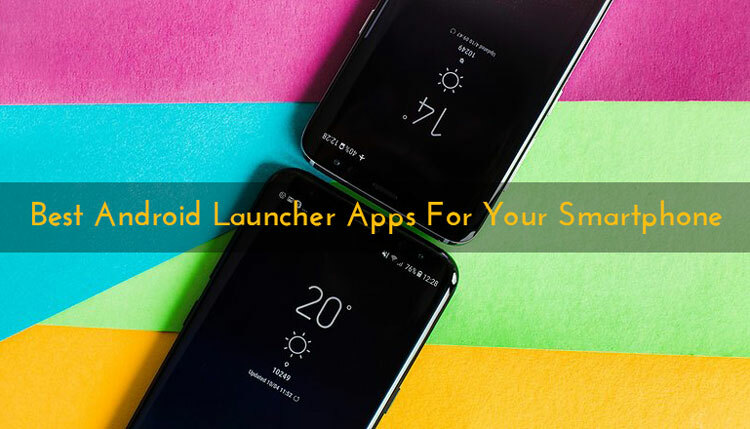 These launcher apps offer you numerous themes, wallpapers, icon packs, widgets and much more for improved device experience. These apps also help you improve your device speed and performance. Let’s discuss 10 best Android launcher app for your Android device. Google Now Launcher offers fast and clean home screen with “Stock” Android experience. It comes as a default launcher with many devices and available for other devices too. It offers basic Android experience with many additional features. It offers a dedicated screen for Google Now, using which you can access all Google apps instantly. Its other features, it offers quick access to Search from home screen, A-Z apps list, app suggestions and much more. C launcher offers fast, smart and clean home screen experience to users. It features friendly interface, improved mobile searches and UI customization, minimal battery consumption and other privacy and security features. It offers thousands of interesting themes and wallpapers for customization. You can even create your own themes using its DIY Themer feature. It works more impressively when you free up storage space on your device by removing all unnecessary apps to organize your home screen intuitively. Nova Launcher is highly customized and performance driven launcher to improve your Android experience. It helps you replace your regular home screen with more personalized and customized home screen. It offers Subgrid positioning feature that offers better control than standard launchers. Using this tool, you can snap icons or widgets instantly through the desktop grid cells. It offers numerous icon themes to you better and unique experience. It offers various other features as well, like customized app drawer, color control, infinite scroll, improved widget drawer, icon swipes, gestures and much more. It offers numerous themes, widgets, wallpapers, app icons, and much more to select from. Using this tool, you can apply scroll effects or transition, or organize your apps in folders. You can even customize font style, font size, icon size of the apps, and widgets. Its integrated app lock and hides app feature allows you to keep your apps secured from prying eyes. It allows you to download complimentary icon packs or themes, swipe up home screen, organize your folders & Apps in One Layer mode, and much more. It allows you to organize your apps and other information intuitively to reduce your manual efforts and save time. It helps you to customize your home screen based on your preferences. It offers a unique feature where it displays different apps on your device at different time of the day and location. It reads your behavior on the launcher and suggests more contextual recommendations. It also offers icon packs for your apps. It displays information like nearby attractions, upcoming events, battery details, sports score and much more on your home screen. It offers personalized and intelligent Android experience to users. It offers various useful features like premium themes, fun decorations, cool functions, two-finger gestures to zoom in and out, special animations, direct dialing feature, hide inactive apps, add apps in batches to the main screen, and much more. It offers fast, free and improved Android experience with 50% less RAM usage. It uses advanced algorithms to find most commonly used apps on your device and place them on the home screen. Solo Launcher enables users to customize the UI on a device so works in a way you want. It offers Material theme and cleans cache to boost speed, clear storage space and save memory faster. It offers numerous themes, wallpapers, and smart widgets to select from. Its Locker plugins help you protect your device from unauthorized users. Its smart home screen icon management helps you automatically place frequently used apps on your device home screen. Arrow launcher is personal launcher offered by Microsoft Corporation and offers a radical simplification of the Android experience. Using this tool, you can personalize your device to suit your needs and style. It offers numerous themes, wallpapers, home page layouts, icon packs and much more. It allows you to quickly get back to your recent activity like text messages, phone calls, file downloads, photos etc. With Wunderlist integration, you can access all your important reminders anywhere on your PC, on the Web or on your phone. using this tool, you can customize and personalize your launcher home with impressive themes and wallpapers. You can boost your device performance by using its unique and useful features to manage apps, games, and files, save battery power, and to do much. It offers one-tap boost option to close all unnecessary apps to release some RAM and make your device faster. You can unread count badge for phone calls, messages, emails and for other apps. This simple yet powerful launcher app for your phone works as a battery saver, speed booster, app manager, charging protector and much more. Its Hola Boost feature helps you boost your games and apps, free up RAM, save battery, and speed up your device. Its Power Manager feature helps you detect and repair battery drain problems and optimize your phone in every aspect. Its Omni Swipe feature helps you access to other tools and apps without having to go back to your home screen. You can use these amazing tools for improved Android experience. Using these tools, you can customize your user experience and improve device speed and performance.